Microsoft's next big dashboard update is set to go live in just a few weeks, August 11th to be exact. The update is going to add a host of features to the dashboard including performance improvements, sorting options and other goodies. The biggest addition will be a games on demand service which will allow Xbox Live members to download full retail versions of games right to the hard drive for instant play. Thirty games are planned being planned to launch on August 11th, and we'll bring you the news of any co-op titles. Avatars will now have access to premium clothing and items as well as item unlocks from games. We'll keep our fingers cross for a virtual Billy companion for your avatar! In the spirit of co-op, Netflix Movie Party will allow Xbox Live Gold and Netflix members to watch a movie over Xbox Live together with your avatars in tow. I imagine many a MST3k style get togethers with this one. 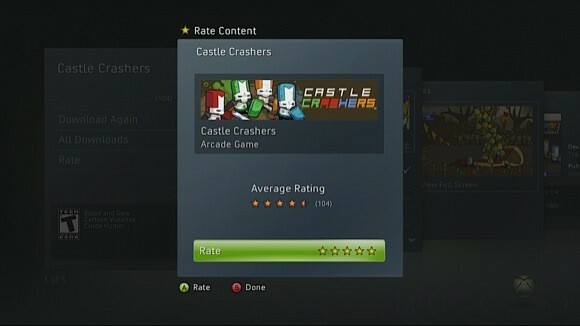 All marketplace content will now be rateable, so users can give feedback on arcade titles and other DLC. Also embedded in the update is improved friends list sorting, quicker access to dashboard functions, and other tweaks. If you want to get in the action early, Major Nelson is giving away access to the dashboard on a limited basis. Hit his site to find out how to sign up to be eligible. Another update is planned for the fall with the previously announced Twitter, Facebook, Last.FM, and HD on Demand streaming functionality.